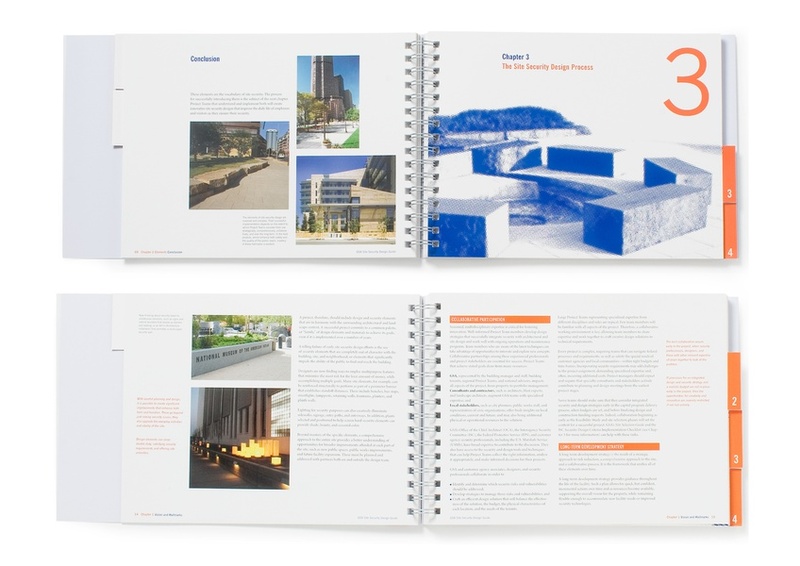 The office of the Chief Architect has relied once more on C&G Partners in designing a complex guide. After successful projects such as the Facilities Standards guide, the Care and Maintenance guide, we dealt with the information design for the Site Security Design Guide.After 9/11, the U.S. General Services Administration (GSA) saw an urgent, critical need to create guidelines to improve security planning for federal buildings. 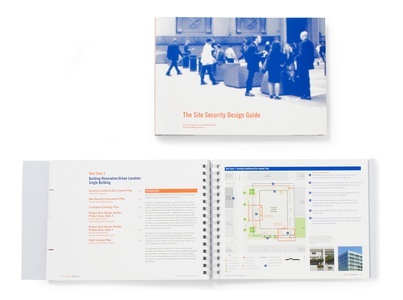 The resulting Site Security Design Guide outlines a collaborative, multidisciplinary approach to security design for existing and new federal buildings. The Guide, built from modular elements to expand as new lessons are learned, establishes system-wide design principles, explains each potential security component, and outlines the design process. The audience for the Guide includes security professionals, designers, project managers and facility managers around the U.S.